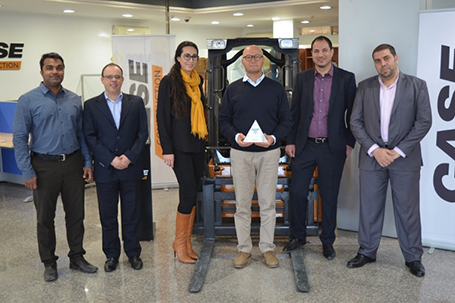 Consecutively for two years in a row NBK- Heavy Equipment Division received the prestigious CASE Pinnacle Excellence Award within the MENA Region. The Pinnacle Excellence Program is a partnership program created to build a stronger and more competitive CASE "Network" in Africa and the Middle East. It recognizes dealerships for achievement in the key areas such as "Planning" and "Performance" Improvement.